Built by Robert Stephenson and Hawthorns Ltd of Darlington, England under sub contract from Beyer Peacock Ltd, the V’s were the largest , most modern and most powerful, non articulated steam locomotives built for a 3 foot 6 inch gauge Government Railway anywhere in Australia. The V weighs in at 134.43 tons in working order, giving a coupled wheels, axle load of 14.25 tons. With 40 square feet of fire grate and a boiler pressure of 215 pounds per square inch, the two, 19” Diameter by 26” Stroke Cylinders were capable of developing approximately 1200 horse power. These awesome locomotives entered service between April 1955 and November 1956. Mainline diesels had been introduced in 1951 however the V class steam engines were ordered subsequently for their reliability and quick delivery. V 1213 commenced services on 20th December 1955 hauling coal trains from the coal fields of the mining town of Collie, along the South West mainline up to the power stations in Fremantle and East Perth. As more of the class entered service, their use was soon extended to heavy freight traffic over the Eastern and Great Southern Mainlines. They were renowned for being free steaming and reliable locomotives. 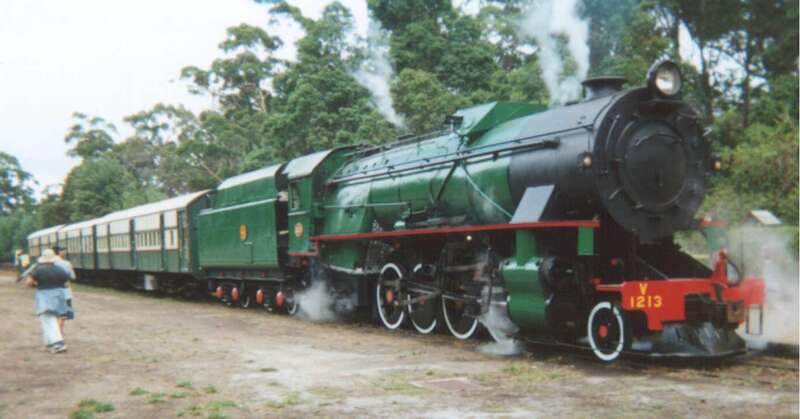 Like many other superb steam locomotives around Australia the V class had to compete with the Diesel Locomotive that would steadily increase in numbers and would eventually see the demise of the steam locomotive in Western Australia in 1971. V 1213 was retired on the 17th of June 1971 and stowed in a fleet of reserve locomotives at Collie Loco depot, eventually making its way to Midland yard to be scrapped. It was in April 1981 that V1213, the last steam locomotive to be saved from the scrap yard, was bought by a group of Hotham Valley Railway members with a view to restoration. 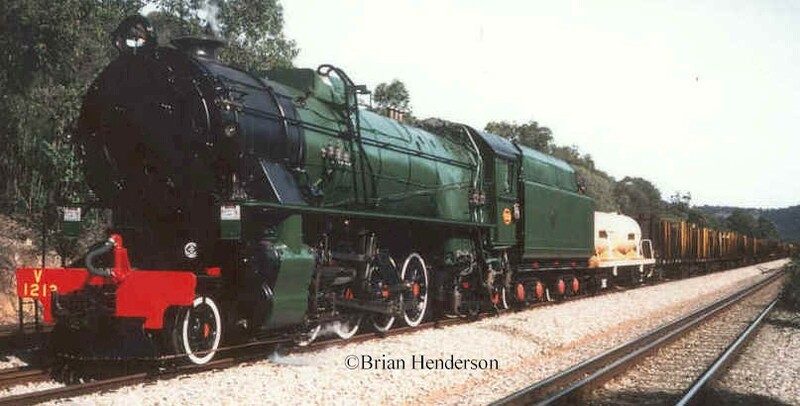 After being moved to the HVR depot at Pinjarra the locomotive stood untouched until purchased by Ian Willis in 1989. V1213 was once again towed to Perth where it left the railway for the Willis Light Engineering workshop in Rivervale, enabling restoration to commence. On the 27th May 1992, V 1213 was load tested on a 800 ton freight train to Avon Yard. The only steam locomotive to haul a paying/scheduled freight train on Government Rails in WA. since steam ceased in1971. The Hotham Valley Railway then commenced using V 1213 on tourist trains around the state network until Mr. Willis took over the Pemberton – Lambert section which runs north from the town of Pemberton, adding to the already successful Pemberton Tramway Co, owned and operated by Mr. Willis, which had been carrying tourists deep into the Karri forest south of Pemberton using diesel hydraulic Trams, since 1987. V1213 now sits at the station in Pemberton.